Not at all. Thank you for having us. Some of our readers may wonder what’s going on if I sit here and ask questions to staff from other companies, but since you put so much effort into this title, I want to tell as many people as possible about the game’s appeal. That’s why I asked you to come all the way here to Kyoto. I think it would be great if we could have a discussion from a different angle than usual. I’d like to begin with self-introductions. Tsujimoto-san, would you mind starting? Sure. 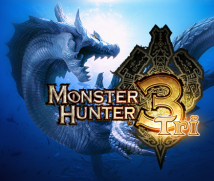 I’m Tsujimoto, producer of Monster Hunter Tri. What did each of you work on before Monster Hunter Tri? I entered Capcom as a planner of arcade games. After I switched over to consumer games, I was planning online software, like racing games, more than anything else. Since about the time online games took off? Yes, that’s right. 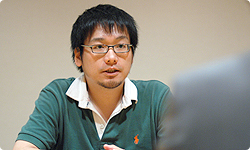 For the original Monster Hunter, I was involved in planning and administration in matters related to online play. I became a fully fledged producer around the time the series came out on a handheld device in 2007. So you’re a producer who knows the situation on the ground. I joined the company as an arcade art designer. I was mostly doing pixel-based animation. Compared to game design today, those were completely different times. Yeah. (laughs) But I got to study animation, and when it comes to expressing movement, I don’t think matters are all that different today. I’m still able to draw upon the importance of movement that I learned back then, so I’m glad I was able to study those basics. Yes, it’s true that those who have learned both the older and newer methods have more to draw upon, giving their work more depth. That’s right. 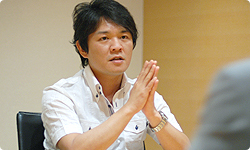 I was mostly making fighting games, but the company decided to begin serious development of online games. 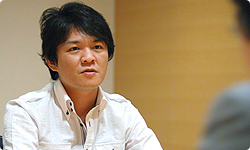 The game didn’t have an official title at the time, but everyone was called to what is now the “Monster Hunter” team. They wanted me to keep an eye on the younger designers. So you were like an advisor at first. How did you become director? Oh, I see. (laughs) If they’re fired up about it, delegate important work to the young and energetic folk. Is that the Capcom way? I suppose so. (laughs) But I wanted to remain a designer. Besides, I didn’t know what a director was supposed to do. Everyone said I should do it, though, so I decided to take it on and see how it went. Anyway, broadly speaking, there are two Monster Hunter series. Home console versions and portable versions. Right. While I’m the director of the console series, I’m involved with the handheld versions in a supervisory capacity. How did creation of Monster Hunter originally begin? As mentioned earlier, the company decided to seriously tackle online games. So there was the racing game Tsujimoto worked on, and something like a spin-off of Resident Evil, and then, focusing more on heavy action elements, we decided to make Monster Hunter. The first game for home consoles came out five years ago in 2004. When did you begin planning? Is there anything that hasn’t changed in the seven years since your original concept? 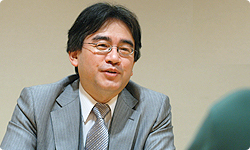 (Editor’s note: The original interview was posted on the Japanese Wii.com site in July, 2009.
everyone working together to defeat a big monster . When you can’t do something on your own, join together with others. Exactly. As monsters are moving around their environment, you work together with others to slay them. You take various materials, such as their hide or tusks, and use them to make new equipment for yourselves. That was the concept from the initial stage of development. fishing , that’s all right. Of course, the way it looks and the game system are completely different, but there is a similar aspect within the basic concept. Yeah. Everyone goes online and enters the same world, but not everyone has to do the same thing. Each person can do his or her own thing, but when the group achieves the goal, everyone benefits. There’s leeway to do your own thing. Yes. We designed it so it wouldn’t take too much time to play - so each quest1 would take about one hour at most. Online games at the time tended to take a while to play. 1Quest: Tasks requesting a hunter to defeat monsters, transport goods, gather items, etc. Upon completion of a quest, the hunter receives a reward. Someone who plays a long time gets stronger, gaining a reputation as someone really great. Right. We wanted to change that as much as we could, even if it’s just a little. That’s why we shortened the time for clearing one quest. For example, if four players go on a quest, but one player says, “This time I just want to fish,” and the others agree, that’s all right. The game works even if one player doesn’t participate in the quest. That was a basic part of the game design for Monster Hunter from the start.